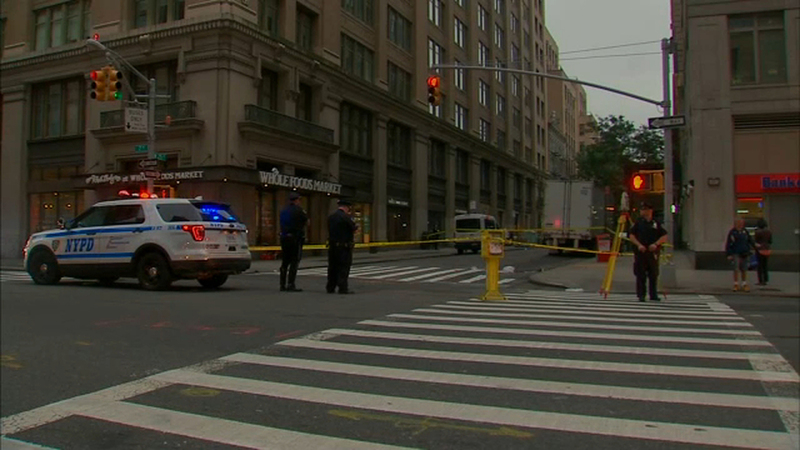 CHELSEA, Manhattan (WABC) -- A 73-year-old man was killed when he was struck by a tractor-trailer in Chelsea Tuesday morning. The pedestrian was struck while crossing 7th Avenue and West 25th Street at around 5:45 a.m. He was taken to Bellevue Hospital in critical condition with head trauma and later died. The driver of the tractor-trailer remained at the scene.